The freshness and quality of the ingredients is Red Star’s biggest draw. 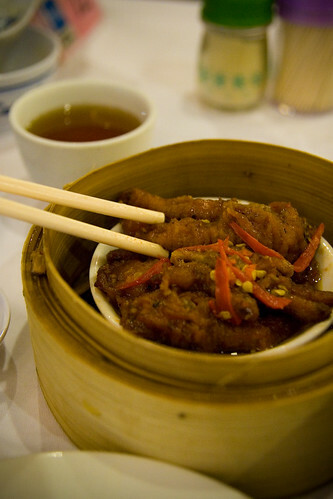 The quality is best seen in the seafood-based dim sum dishes like har kau (shrimp dumpling) and the deep fried seafood roll. These folks don’t skim on their ingredients and you can tell the moment you take your first bite. 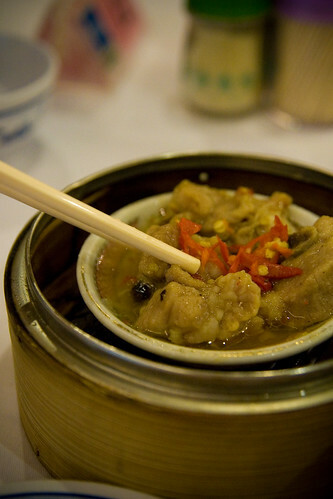 Other than the seafood dim sum, I recommend the steamed spare ribs. The ribs are cooked until tender and sit in a very umami sauce (my sister slurped it all up). 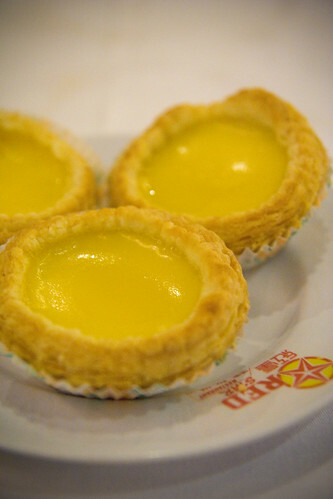 If you decide to visit Red Star, you must give the egg tarts a try. They are always a hit with my sister and I, especially when freshly baked from the kitchen. My sister once wolfed down 4 in a row in about 15 minutes when we managed to get some right off the baking tray. The egg tarts have an amazingly light and crumbly crust and the egg custard is not too sweet. A great way to round up the meal. The only problem I had with going on a weekday is that there is generally less variety when compared to the weekend. On weekends and public holidays, the kitchen serves up “specials” which are usually interesting spins on the traditional dim sum dishes. As a personal preference, I find the atmosphere on the weekend better. Food seems tastier when the restaurant is packed on a Sunday morning and you’re surrounded with families, young and old, all enjoying their food together — scenes that warm the cockles of your heart. Go check out this venerable institution in local culinary history, you won’t be disappointed. Great food, good service, and surrounded by heartwarming scenes — what’s not to like? 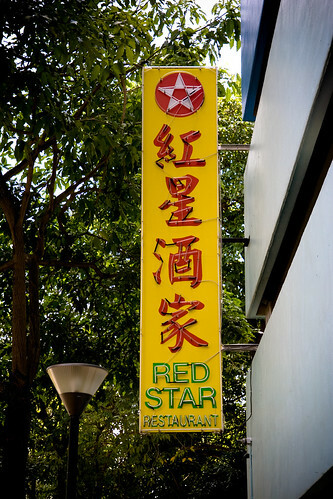 Red Star is located in the same building as the HDB Chin Swee office.